People often fear what they don't understand and autism is no exception. 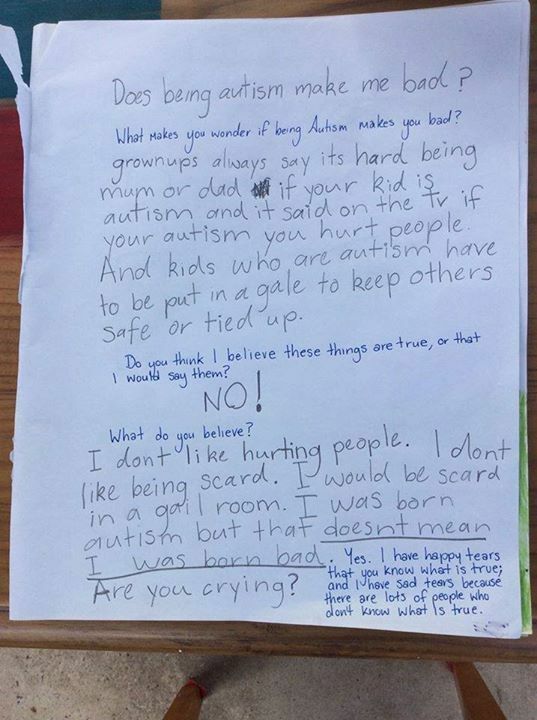 This poor girl was convinced that she was hurting her parents by being autistic so she wrote a heartbreaking letter to her own mother. See what it said below. What 'messages' are children hearing - from ourselves, from other parents, at school, from media and in the general community? And what are the 'take home' learnings, spoken or unspoken, they are internalizing from these messages? 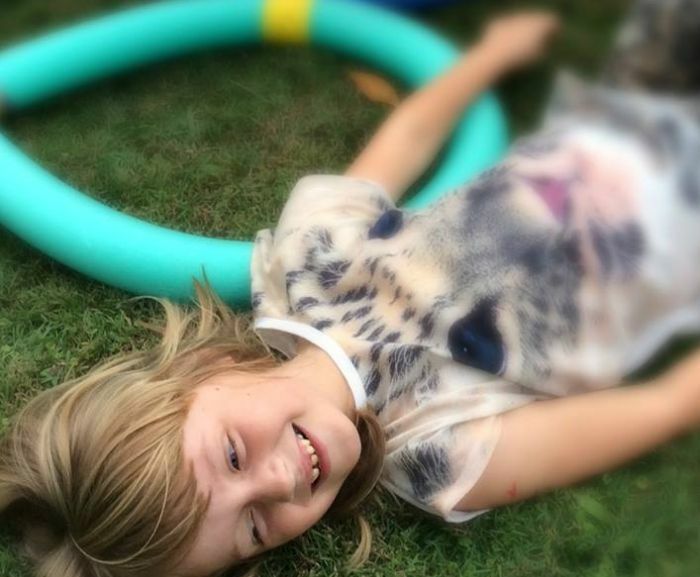 Cadence's sensory differences means she hears, sees and observes every detail around her - every conversation, every sight, every smell; as many autistic children do. This 'conversation', between Cadence and myself, started under her teachers desk - a 'safe place' where Cadence had put herself in her confusion that she was somehow 'bad' - a belief that had culminated from over-hearing other parents and hearing news stories. "to be autism"? As english is not my native language I'm not 100% sure, but this doesn't sound right. "To be autistic" is the right way to say it. But that's a child. Children do not always have perfect command of language, especially those with special conditions.